This very stylish Art Deco vase was made by the German company WMF (Wurttembergische Metallwarenfabrik). 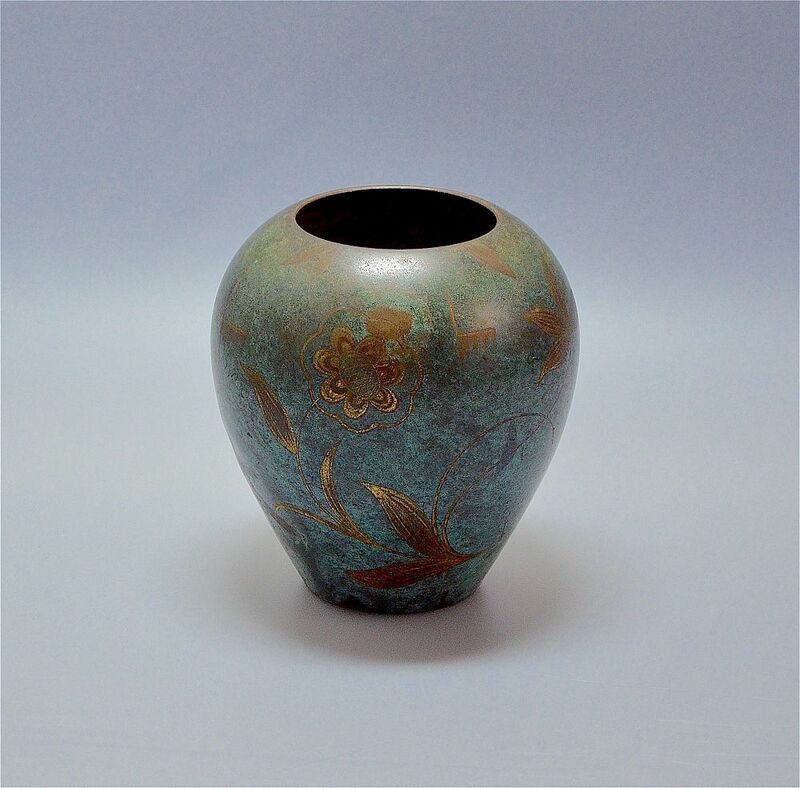 The vase from the Ikora range is an ovoid shape and is in turquoise enamelled metal giving the impression of verdigris that has been hand-decorated with leaves and flowers in gold and bronze coloured enamel applied by fusion to the surface of the metal. The base is stamped with the mark depicting a lighthouse in a circle on a hill with "WMF Ikora" below.